VeriCite DocumentationUser GuidesBrightspace User Guide LTI Content Item Integration - Student ArticlesHow do I search for a specific VeriCite LTI assignment as a student? If you have a lot of assignments within a course, you may want to search for a specific assignment to locate it more quickly. 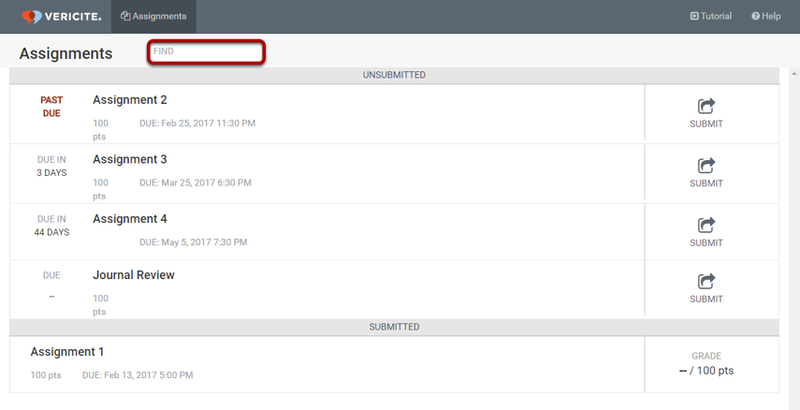 Click on the Assignments link in the top navigation bar to view all assignments. 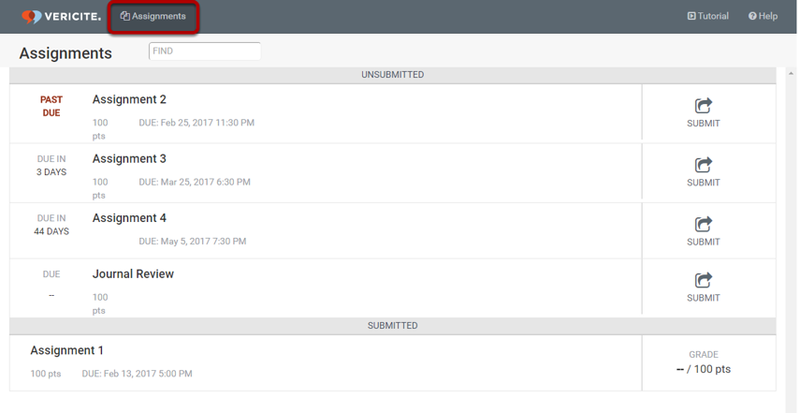 Zoom: Click on the Assignments link in the top navigation bar to view all assignments. Type your search term into the Find box. Zoom: Type your search term into the Find box. Your search results will display. Zoom: Your search results will display. Prev: How do I view all of my VeriCite LTI assignments as a student? Next: How do I resubmit to a VeriCite LTI assignment as a student?